There are hundreds of common digital marketing terms to know, but these are the ones that you should begin to understand. Here you have it, your definitive list of must-know marketing terms. Whether you’re new to marketing or just need to brush up on some terminology, this post will share the most important marketing terms. If you are new to the digital marketing industry you might find that the industry jargon some digital marketers use can be confusing, and at times you might not know what they are talking about. This is why we put this article together. There are hundreds of common digital marketing terms to know, but these are the ones that you should begin to understand. You’ll find this article has been broken down into 4 digital marketing categories: general, inbound, social media, and email. These terms are known as marketing mainstays. No matter your field, you’ll want to know these marketing terms and know them well. Be it for client presentations or simply understanding a colleague, these definitions will help you build your repertoire of marketing terminology so you’ll be able to talk shop with the best of them. A/B testing is used in e-newsletters, email subject lines, social ads, calls-to-action, and landing page copy. A/B testing, also known as split testing, is when two versions of a landing page are shown to visitors to see which one performs better. The difference between them can be as minor as a button color or as major as a change in copy. The main reason to conduct A/B testing is to know which version—of a landing page, CTA, etc.—has the greater chance of giving you the results you’re looking for. Analytics data is used for websites, as well as in social media and email campaigns. When reviewing or tracking performance of any online campaign, analytics provide meaningful data. Website analytics provides you with data such as website visitors, time on site, pages viewed, demographics, and much more. The term B2B is pretty straightforward and describes a business conducted when selling a product or service between two businesses. A business that sells directly to consumers is described as B2C. They control their product from start to finish, from development to the final sale. When you head out for a new pair of khakis at GAP, they’re the perfect example of a B2C business. Your churn rate is the amounts of customers you have lost during a particular time period. If you start the month of April with 100 clients and end with 95, your churn rate would be 5%. This is a very important figure for renewal-based (membership) businesses. Closed-loop marketing takes place when your sales team is reporting to the marketing team about what happens to the leads they’ve received. Marketing is then able to determine which of their leads sources should be focused on based on their ability to be converted by the sales team. Click-through rate is the number of people that click on a link out of the total number of people who saw the email, social ad, or call-to-action (CTA) on a website page. For example: Let’s say that we have a CTA on a blog post, and that CTA was seen by 900 unique people but only 45 people clicked on the CTA. This means that the click-through rate is 5%. A conversion path is a series of events that are set up to move website or social visitors down a path that converts them into a lead. A conversion path on a website consists of a call-to-action > landing page with a sign-up form > thank-you page > thank-you email. In a conversion path something is promised to the visitor in return for their contact information. This could be an ebook, consultation, white paper, etc. The lead magnet needs to be something that potential leads find valuable enough to provide you with their contact information. Conversion rate is the percentage of people who take the desired action on your website or social media ads. A conversion rate doesn’t just mean converting non-customers into customers. It could also include converting a website visitor into a lead or a marketing-qualified lead (MQL) into a sales-qualified lead (SQL). For example: You have a Facebook ad running for an upcoming webinar and 10,000 people see that ad but only 1,300 signed up for the webinar. The ad resulted in a conversion rate of 13%. Customer acquisition cost is the amount of money it takes to convert one person into a customer. This figure focuses mainly on marketing costs. When this numerical value is determined, companies can predict how much they will need to spend in order to generate a desired number of customers. Customer lifetime value is a prediction of how much revenue a customer will bring during their lifetime as your customer. This measure is used to determine how much a company should or could spend in order to acquire a new customer. Off-page optimization is everything you can do to improve your organic search rankings that does not involve your actual website. This includes anything you can do to create high-quality backlinks and further drive your exposure. On-page optimization involves actions you take on your website to improve your organic search engine rankings and can include improving meta tags or optimizing your website content. This is the traffic your site receives from unpaid search results, hence it is considered organic. This is one of the main goals of SEO and content marketing because it provides a powerful platform for long-term growth. A big part of digital marketing these days focuses on inbound marketing. Inbound marketing strategies involve techniques that bring the consumer to you, rather than sending out a sales team to find them. There are a myriad of must-know terms and definitions that relate to this expansive and quickly growing field. Not sure what smarketing is? Don’t know where you’ll find your BOFU? Keep reading to get a better idea of inbound marketing buzzwords. Marketing automation is software, such as Hubspot, used by marketing departments and businesses to automate repetitive tasks. Automation is used in conjunction with lead nurturing. Depending on user behavior they are automatically sent different information based on what they are interested in. This is a link that directs users from another website to your page. Collecting quality backlinks is one of the facets of search engine optimization (SEO), as they are one of the determining factors of a page’s relevancy, popularity, and/or importance. Blogging is writing or sharing content on a website on a regular basis. An individual or a business can own a blog. Blogging is comprised of words, videos, images, or a combination of any or all of these media forms. Business blogging is done with the intention of attracting leads and providing current clients or customers with valuable content to keep them as clients. BOFU stands for bottom of the funnel and is the last stage in the buyer’s journey, the decision stage. When a lead arrives at the decision stage, they are ready for your sales team. A sales offer such as a demo or a strategy session is a great offer for a lead at this time. A bounce rate is when a visitor lands on your website and immediately clicks the back button or leaves your website. They are “bouncing” off your website. The buyer’s journey is the process a lead goes through in order to go from awareness to decision. A new lead has to pass through three stages—Awareness, Consideration, and Decision—in order to be ready to be sold. A call-to-action is an instruction for website visitors to take action on a message. The action could be to click a link, fill out a form, subscribe to an e-newsletter, or make a phone call. Calls-to-action can be presented as just text or an eye-catching image. Content is any form of published material on the internet. Inbound marketers often recommend publishing quality content (engaging, informative, relevant) in order to help build brand awareness, establish expertise and authority, and drive traffic to your website. A content offer is what you provide in exchange for information from your website visitors in order to turn them into a lead. A content offer can be an ebook, guide, white paper, or webinar that is given to a visitor after they provide you with some details, such as name, email, and business name. Not only do you have to provide excellent content for your audience, you need that content to be contextually relevant. By knowing your target audience, their behavior, preferences, and goals, you can provide content that meets their needs. HubSpot is an inbound marketing software platform that helps companies attract visitors, convert leads, and close customers. Here at Uhuru Network, we use HubSpot not only for ourselves but also for our clients. Keyword is one word or several words that people use when searching for a particular subject online. Keywords are also the words targeted when writing online content. Blog posts and pages on a website have a keyword focus so it’s SEO optimized. A landing page is typically comprised of copy, images, and a form. A landing page is used to persuade website visitors to sign up to receive a content offer or purchase a product. Landing pages can be long or short, and the content is dependent on the action you want your visitors to take. Lead generation is the process for acquiring new leads. Online lead generation is done by providing valuable content to website visitors in exchange for their contact information. When a visitor turns into a lead on your website they are most likely not ready to buy. Lead nurturing is providing those initial leads with valuable information about your industry or product until they are ready to purchase. By caring for your leads you develop the relationship and show that you care. Link building is the act of increasing the number outside sites linking back to yours (backlinks). This process typically involves creating high-quality content (interesting, engaging) that others want to share. Marketing qualified leads are typically prospects that have expressed some interest in your company by engaging with your content and then provided identification details that allow you to convert them into a known lead. For more information on MQLs read: 6 Keys to Track the ROI of Marketing Qualified Leads. MOFU stands for middle of the funnel and is the consideration stage of the buyer’s journey. A middle-of-the-funnel lead has moved from awareness to consideration and is ready to receive information about your product or service. A branded offer is given to provide the lead with more information and address any pushback. Page performance takes into account on-page SEO, website traffic, CTA conversion rate, and contacts acquired. Your page rank is how trustworthy your particular site is as determined by Google’s algorithm. Sites are ranked on a scale of 0 to 10, with 0 meaning you don’t rank in their search engine (not good) and 10 being given to fewer than 150 sites (most of them being Google-, Apple-, or Adobe-owned). In marketing, a persona is the perfect representation of whom you want to purchase your product or service. An ideal buyer or buyer persona is a complete breakdown of behaviors, pain points, goals, wishes, dreams, demographics, and professional careers. To learn more about personas read: Defining Your Ideal Buyers. A sales qualified lead is a marketing qualified lead that is accepted by the sales team and warrants a sales team member reaching out. An SQL is ready to be sold and is the most likely to purchase the company’s product or service. Search engine optimizing a webpage or website means adjusting on-page and off-page SEO factors in order to improve the page’s ranking in search results. A thank-you page is how you deliver the content offer after someone fills out a form on a landing page. You are thanking the visitor for filling out the form and providing them with the content you promised. TOFU stands for top of the funnel and is the beginning of the buyer’s journey. The information your website provides to new leads are answers to services or product questions, brand positioning, and common sales questions. A workflow is a series of events that slowly or quickly move a lead through a company’s lead nurturing process. A workflow could be a set number of automatic emails that are sent to prospects that take different actions, such as viewing a pricing page or scheduling a free consultation. Social media is one of the best ways to market your business, but do you know what all of these abbreviations stand for: CPI, CPM, CPC, PCP? The acronyms can all get a bit confusing, but not to worry, I’ll break down these and other relevant social media marketing terms for you. Affinities are the measured interests of an audience. With the help of social media monitoring tools, they give marketers an insight into the thoughts, feelings, and preferences of their customers. Clickbait is the type of content that hooks people with a highly promising headline that provides very little actual information, getting them to click through to their content or website. Clickbait is more and more frowned upon in the digital marketing world and sites like Facebook are making changes to their algorithms in order to deter this type of posting. The percentage of people who have completed the desired action (clicked through to a site, filled out a form, etc.) divided by the total number of people to whom the action was marketed. Cost-per-click is an amount an advertiser pays every time someone clicks on their social ad. It doesn’t matter how many people see it, the advertiser will only be charged for actual click throughs. Cost-per-impression is an amount an advertiser pays for 1,000 impressions on their social ad. Crowdsourcing is the process of getting work, funding, or ideas from a crowd of people online. A great example of crowdsourcing is Wikipedia. In digital media crowdsourcing is a great way to take the pulse of your followers. For example, you can poll them on Facebook and/or Twitter to learn what type of content they want, which provides ideas for your website. This is one of the most important social media related digital marketing terms in this list. Engagement is the clearest sign of people’s interest in your content. Your engagement is likely more easily understood as the number of likes, comments, and shares (interactions) it receives versus the number of people who saw it (impressions). Impressions are the number of times your content is displayed. For example: In Facebook, impressions are the number of times someone sees your social update in their newsfeed. Impressions are a key metric for measuring campaign success in digital marketing campaigns. The digital marketing term “influencer” is just what it sounds like, a person who has the power of influence over their social media audience. These are people you want sharing your content and interacting with your brand. Social media allows brands to market in real time in response to breaking news or a world event. The ability to publish content as these events unfold (real time) gives marketers an opportunity never before seen in the marketing world. Remarketing is a marketing strategy that targets people who have visited your website. You can reach out and reconnect to previous visitors through ads on Facebook, as they browse the web, or on mobile platforms. Social listening is a brand monitoring digital marketing term that helps businesses understand what’s being said about its products or services in order to meet customers’ issues head on. Salespeople can also use social listening to identify the needs of their prospects and provide help in order to establish themselves as a trusted resource (see Social Selling). Social selling refers to a brand’s ability to engage potential customers on social media by answering questions, providing informative content, and resolving other issues, and in turn helping to move them along the sales funnel. Social selling is typically done on a one-on-one, salesperson-to-prospect basis. Going viral refers to a piece of content that is shared over and over again because of its perceived informational or entertainment value. If your content (picture, video, article, etc.) goes viral it will be seen by far more people and have a far greater impact on brand awareness, conversions, etc. Email marketing is a tried-and-true digital marketing strategy that many brands utilize, so it’s important you understand the lingo. With all the different rates and the opting in and out, email marketing has its fair share of technical terms. Read on because I break them all down for you below. A blacklist is as scary as it sounds. If a company sends a lot of unsolicited emails (spam), the IP that the company is sending from will be blacklisted. Being blacklisted means that you can no longer send out blanket emails. A sin in digital marketing you want to avoid. When reporting on your email success, this digital marketing term is important to understnad. It’s simply the number of clicks (on your link) divided by the number of emails successfully delivered to their intended destination (inbox). The result is your CPD or clicks-per-delivered rate. The number of clicks (on your email’s link) divided by the number of opened emails will give you your CPO or clicks-per-open rate. A double opt-in is when a subscriber has to confirm their email address after entering their information to subscribe to an email list. Typically, once a website visitor fill outs a form to subscribe to an email list they immediately receive an email to confirm their information. Email filtering is a technique that organizes emails based on a word or phrase in the “from,” “subject,” and body copy sections of an email. Most email programs employ filters in an effort to keep the user’s inbox free of spam. Just as an IP/email address that has been blacklisted won’t be allowed through most spam filters, a whitelisted address has been given the golden ticket. Whitelisted email/IP addresses are typically accepted and allowed into most inboxes. Email marketers will already be well aware of this marketing term. A hard bounce is when an email immediately “bounces” back because the email doesn’t exist, is misspelled, or is blocked. Hard bounces are permanent and they will never be delivered. An opt-in list that is self-constructed over time. You typically provide a piece of valuable content for a person’s email address (and more). You can then market to, cross sell, upsell, and build a relationship with customers over time. Your list is a very valuable asset! Sometimes digital marekting terms help us understand what they mean, sometimes they don’t. If you know what HTML means, this is helpful, but let’s take a deeper look. An HTML email contains custom fonts, graphics, images, links, background colors and, at times, can look like a page on a website. They are fully designed emails with their own code and styling. If you had different types of clients and customers in different phases of their buying cycle would you send them the same email? The answer is no. 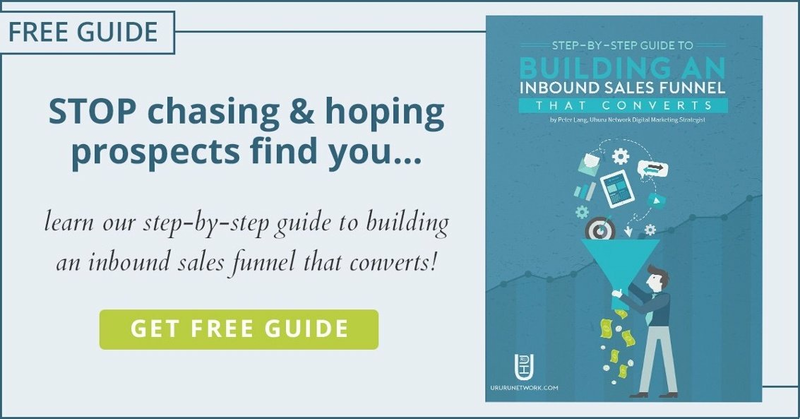 With list segmentation companies segment their leads and current clients into lists that match their current buying cycle or what type of client they are. These different lists receive different information/content that they care about the most. Open rate is the percentage of emails opened from the total that were sent. Similar to CTR, open rate takes into account all emails that were sent and divides that total by the number of emails that were opened. For example: If we sent an email to 1,000 email subscribers but only 250 people opened that email, the open rate would be 25%. An opt-in is when a person provides their email address to a company or individual because they are choosing to receive emails from that company or individual. One of the digital marketing terms that email marketers need to pay attention to, an opt-out is when a person subscribed to an email list no longer wants to receive email communication from a specific company or individual, so they remove their email address from the list. When you receive an email from a company that says, “Hi Rachel,” that’s personalization. Personalization means adding some information to your email that is specific to the person you are sending it to. This personal touch can be added in the subject line or in the body of the email. Personalization is used to get subscribers to notice a company’s email in the hopes that they are more likely to open it and act on it. Some digital marketing terms need little explanation. A plain-text email is just what it sounds like, an email that doesn’t contain any images, rich formatting, or links. Individuals or companies can use plain text emails when they want to send an email that only focuses on the copy of the email. In most email software, plain-text emails are automatically generated whenever an HTML email campaign is created. This is for the subscribers who have noted that they only want to receive plain-text emails. A single opt-in is when a subscriber doesn’t have to confirm their email address or information twice. Once they enter they enter their contact information on a form they are immediately signed up to the email list as a subscriber. A soft bounce is when an email “bounces” back because of a problem with the server or other temporary issue. A soft bounce has the opportunity to reach its intended recipient if tried again and is not a permanent issue. One of the least popular but better known digital marketing terms. Nobody likes receiving spam. Spam is email we didn’t sign up to get. It’s unsolicited email that a company sends you because, most likely, they purchased an email list and you happen to be on that list. An email subject line is the line of text that is shown in a subscriber’s email inbox before they even open the email. Subject lines are used to give the subscriber a reason to open your email. They are usually short, descriptive, and can contain personalization tokens such as the subscriber’s name or something specific to them. Digital Marketing Terms & Definitions Done! Congratulations, you made it through this very comprehensive list of the most valuable marketing terms and their definitions. You’ve strengthened your marketing vocabulary and given yourself the knowledge to better understand the digital marketing landscape. All in one information package for digital marketing learner. Such a well written post. Thanks for sharing..!! !